In this post we will discuss 4 reasons you should consider a retaining wall for your next landscaping project, and why Fence Victoria is a great choice for your free quote. A retaining wall done properly is a requirement for the proper drainage and maintenance of any yard care program. Using the right materials such as slate, rock, or even a well place boulder will showcase your yard or garden to all those that see your home. A well done retaining wall will also make lawn care a lot easier. A retaining wall's core function is to prevent the soil from around the area from sloping in. They also give support for the grade change of your landscape. Done correctly this will enhance the value of your home. We have had a ton of experience installing all types of retaining walls. 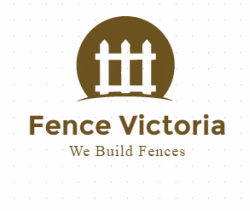 Whether it is for a patio setting to hold plants, or for a structural engineering type requirement Fence Victoria has the professionals to turn your landscape into a beauty. Give us a call at 778-400-2216 today.